More information for our Zimbabwe wildlife safari. The best time to visit Hwange National Park is during the dry season between July and October, when the vegetation is low and it is easy to spot the animals. During the green season (late November to early April), there is a smaller volume of game because of the rains, though great game viewing can be had. This is a great time for photographers and birders as the bush is green, the waterholes are full of lilies and the birdlife is at its best. The heaviest rains occur in December and January, though the typical rains are short afternoon showers. Victoria Falls is best between May and September. Water levels at the falls peak in May, and start dropping until they're barely a trickle as November approaches. You have an excellent chance of spotting the Elephant, Lion, Leopard, Cheetah, Wild Dog and Cape Buffalo during the course of this safari. You will also see zebra, giraffe, hippos, and a spectacular array of bird life—over 400 species! This wildlife safari has been designed for anyone seeking outstanding comfort and service. Activities range from open 4WD vehicle game drives to foot safaris and canoeing. However, all activities are strictly optional and designed for average fitness. Moving beyond your Conservation and Community Safari, you can leave a lasting mark with those you've met, by making a direct contribution to any number of specific projects. Should you wish to make a donation to one of these important initiatives, please let us know and we'll send you information on how you can make a donation. Any donation amount will be greatly appreciated and you will receive updates on how your donation has been utilized in the community or within the park. Rural households in Zimbabwe are dependent on boreholes for water supply, where there is no natural source of surface water year-round, both for domestic use and for livestock. Boreholes drilled and maintained by the central government often leave families with many miles to walk. When these boreholes stop working for any reason, the distance doubles. Drilling one borehole can serve up to 100 households, which is a huge amount of assistance. So far, over 70 boreholes have been drilled, but there's still a long way to go, with many more households in need of safe potable water, which you can help provide. As many as 1,000 elephant are dependent on each working borehole in Hwange National Park at he peak of the dry season as well as some 4,000 individuals of other big game species. Various means are used to power the boreholes including solar, diesel pump and generator. The costs are borne by the Parks Authority and a consortium of private sector, non-profits and well-wishers, but there is never enough to cover all water points and keep them pumping in the volume needed. Imvelo currently maintains 13 water holes. $12,515 - Cost to install a solar unit to pump 250,000 liter per day. Between 400 and 500 students attend each high school, with up to 350 students per junior school. Rural clinics service communities numbering in the thousands. Inadequate supplies of fresh, potable water, or sometimes interrupted supplies of water due to breakdowns is a constant challenge for staff. Often donors are the only source of funds to remedy an unacceptable situation. Community health is directly linked to access to clean drinking water. In addition to clean water, rural clinics also face challenges with adequate equipment and supplies.One of the major needs is refrigeration to stock perishable vaccines, but power supply can be either unreliable or simply non-existent. Solar power with battery back-up is one solution to this pressing problem. The physical demands on rural African women are harsh - never more so than when they are pregnant. Despite being a higher percentage of the patients seen at remote primary care clinics, there are often no special facilities for mothers in waiting, which just adds to the stress and burden of getting there, often in hot temperatures and over considerable distances. Providing much needed support to the teachers and schools that education the young people living in areas bordering wildlife is a primary goal for Imvelo. 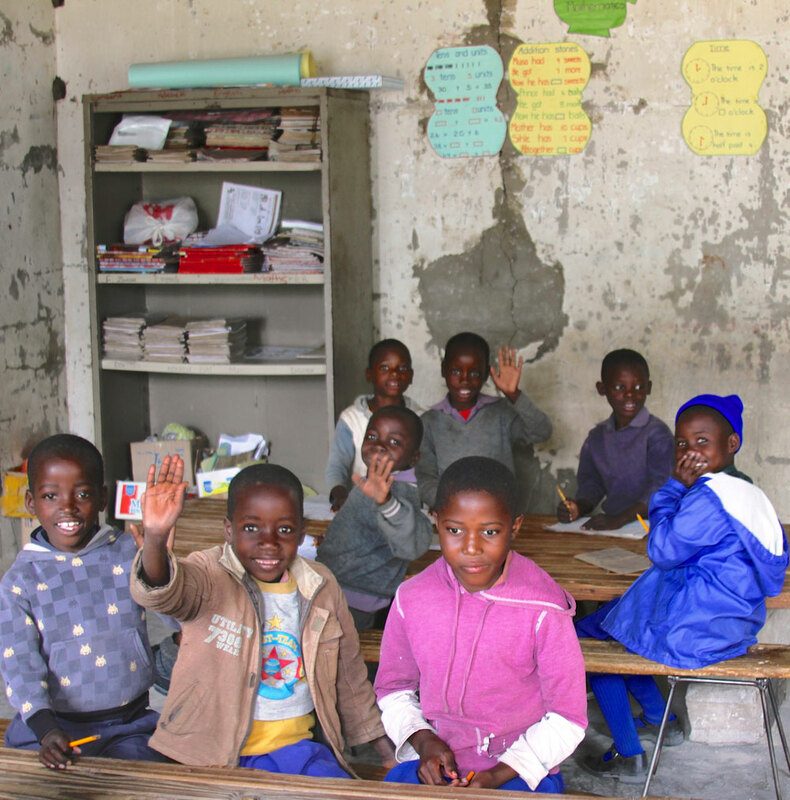 Rural schools are often under resourced in terms of building, furniture, equipment, stationery and teacher training. Despite education being free, families often must pay a levy and buy uniforms and textbooks. Imvelo has sourced funds and supported numerous projects at the schools in the area, but there is a never ending need to build on to these efforts to meet new needs.